I wanted to know which is the best amongst niper and bhu with respect to placements and packages provided to the placed students. 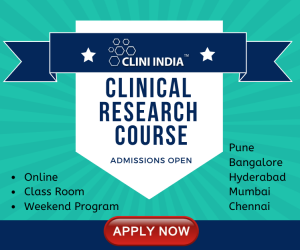 As we all know these both are most popular and renowed institutes of india in which every pharma graduate wants to pursue their higher studies. But my doubt arised from recent set back to NIPER and its associate institutes regarding corruption allegations and also lack of proper PLACEMENTS for M.pharm graduates. And also which has a better carrer prospect w.r.t growth,salary MBA or M.PHARM,if m.pharm which subject please specify. both subjects are good. on comparison M.PHARM(analysis) is having high demand right now at industry. but good institute with good instrumental facilities should be choosen to study the course. If you see on placement side both BHU AND NIPER is useless.According to current status BIRLA INSTITUTE OF TECHNOLOGY-MESRA-RANCHI,DEPARTMENT OF PHARMACEUTICAL SCIENCES is on Top most position for providing PLACEMENTS in INDIA. Please post your opinions about which colleges do you think are best in respect of good infrastructure and placements in INDIA. A comprehensive list would be highly appreciated. hey anonymous i want to remark a point that BIT MESRA firstly had a high fees,which every student can"t afford .Secondly a good carrier is required like 1st class carrier throughout the year.so its also nt less than any other institutions.so if u r in tht collz dont take for of tht as there is no benefits if no references.More over as upto my knowledge Mumbai University (Bombay college of pharmacy is and good college )as compared to salary as well as fees.most guys get jobs in RND from there. both are best colleges. in PG our knowledge is important first. if you do good in interview definitely you will get a good job. according to me BHU is the best college. Yes i have studied in BIT Mesra and most of guys places in with package of 2 to 4 lakh per annum. Around 10 to 12 companies visit for pharmacy student placement including IT Companies. Go to NIPER if you are interested in research and want to make your career in research. you will surely get good recommendations that will really help you to get admission in PhD abroad. BHU & NIPER Mohali both are equally good.They have very good reputations in India & Abroad. For Placement your skill & knowledge is important.In these campuses various MNCs come for campus Placements. M. Pharm. (Pharmaceutics) is the best. According to me BHU is best.last year from bhu M.Pharm batch 10 are placed in cognizant @3.35 per annum, 15 are placed in matrix nasik @3 lakhs per annum package and 1 in mylan hyderabad @3 lakhs per annum package.almost all students are placed nearly 100% placement. opportunities are more in bhu since number of MNC visit their for placements like cognizant, evaluserve, mylan, headstrong,etC. Among all branches Pharmaceutics is best.From research point of view also there are lots of facilities in BHU since along with your departmental work lots of collaborative work in Institute of Medical Sciences,BHU, school of bitechnology & biochemistry ,department of chemistry,department of zoology etc can be done for specific work as per specific requirements with specialists guidence. BHU is having maximum resources from research pont of view and also in terms of life @bhu campus no intstitute can compete with bhu. In pharma their is no difference of package as compare to other profession like MBA and engineering which depends on institution also. Those who got job is good. Otherwise, no one institution can help in placement......Do Job after b.pharma....its better option. Even after qualifying GPAT/GATE with 99 percentile, u r not sure about job or package. I am startled by the fact that pharmacy sector lacks proper remuneration. The situation is improving though,thanks to the MNC's stepping into the field. My college PES COLLEGE OF PHARMACY BANGALORE has a average placement record but last year about 5-8 students were placed for package of 3.5 L/year and a student was placed for 5 L/year (most of them were from ceutics and cology ). But it does not have 100% placements. I expected NIPER like famous institutes would have decent placements with average packages of 4-6 L but the situation is worse. NIPER is the institute of National Importance. Here you will be tag with M.S. degree which has the same qualification as MS degree in foreign. It is proud to be a NIPERian. If you want to spend 2 memorial years of your life, there is nothing like NIPER. I agree that more pressure is on research only in NIPER, but it will help you out to get a job in any pharma company off-campus. With your skills you can easily get a job from NIPER campus. NIPER Mohali has no any other alternative when it comes to pharmaceutical research..If you want to be a good researcher then choose any one course (M.S/M.Tech) in NIPER. For placements, M.S. (Analysis) has the best chances. And other departments are also have a decent record of placement activities. If you really seek of a job, then prefer MBA at NIPER, MBA department has 100% placement record and salaries are also decent..(all 60 candidates were placed before ending their course, with salaries Minimum 3.75 lacs/anum, according to last years placements). There is not a very severe problem of placements as people thinking, but most of the students go for their PhDs either in INDIA or abroad. 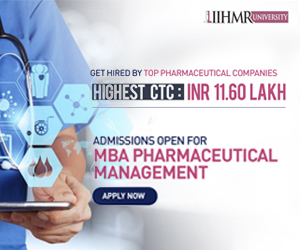 MBA is good compare to m.pharm, as having no limitation to pharma only. opening will be n multiple industries. No doubt, If u r interested 2 make career in research NIPER is No. 1 amongst all, not only in india but it is a world class institute. In terms of placement n package also NIPER is much better than Deptt. of Pharm. IT-BHU. If you see past records all students from NIPER and BHU, all are well placed. Both institutes have best research facilities. So choose any one from your knowledge.